Kyras give me or not Scroll level 60 and elite voucher o.O? I check the FAQ but later check the prize list and see this... Any can respond me? No, that part of the image was from an older event. Getting that fixed right now. 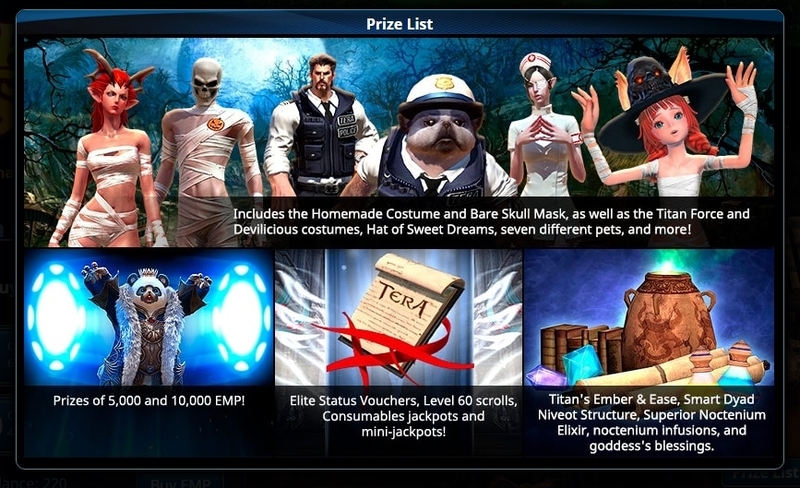 The FAQ has the correct list of prizes. Account services items and crafting mats are not a part of this Kyra's event. Sorry for the confusion.